Another scrappy project. Yup, just cleaning out that scrap bin today. Want to join me? Measure and cut out all of your pieces. Then attach your fleece to your cotton by using the web in between. Iron it all in place. Trim your corners. Turn right side out, poke out your corners, and tuck in the opening edges. Iron flat. Then stitch all the way around the entire coaster, making sure to secure the opening shut. Now make a few more and toss on them on your coffee table or end tables. yay! Thanks for the tutorial, I was just playing around with fabric coaster last night and not having much luck! i love that fabric! do you happen to know what it is? Are the dimensions that you used the same as fat quarters? I've been wanting to make some of these for awhile! Thanks!! Sew easy and so practical! Love your tutorial. What fabric is that that you used? Tasha – No, these dimensions aren't a fat quarter. A fat quarter is usually 18 x 22 inches (a quarter of a yard) and then they fold it up to about this size. So you could make several coasters with one fat quarter. Hope that helps. Oh, and this fabric is from Hobby Lobby. I don't even know the name but Hobby Lobby fabric is exclusively sold there and can't be ordered on line. Darn. Cute idea. I'm going to try this. Those I really cute! Love the fabric too. I love little projects that you could whip up in a short time. So thanks for sharing! 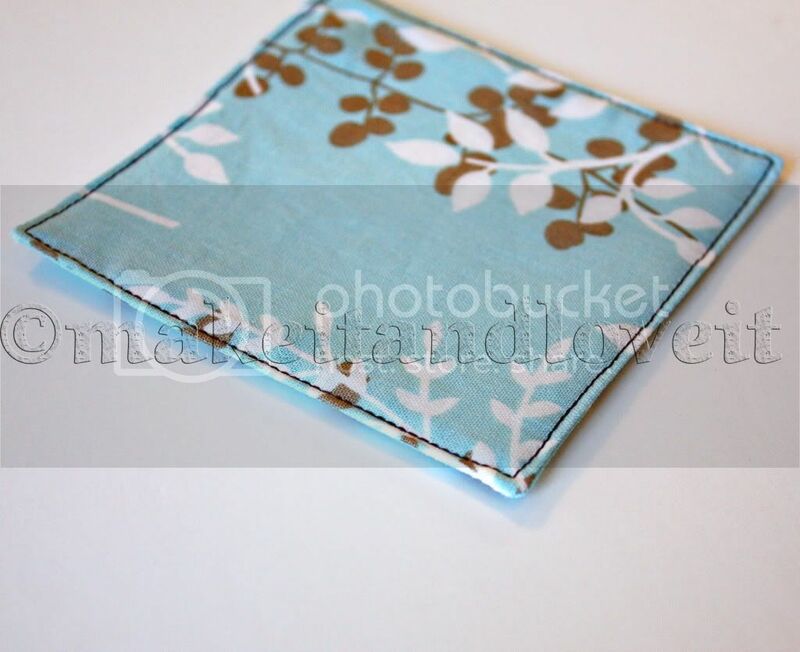 ahhh an easy project for me to use my brand new sewing machine! straight lines…that's what i need sense I'm still learning how to sew! thanks for the tut sweetie! I'm having a hard time finding this double sided fusible web that can be cut into a square. All I can find are the strips. Can I use fusible interfacing? Or the strips of fusible web? I think I am going to make these as a birthday present for my mom. She loves coasters! My sister was looking for fabric coasters and could not find them. I found this website and am very excited that I can make them for her for Christmas. I’m a novice sewer and love finding new projects that I can try and complete! Thank you for posting this project along with the step by steps. I am new to the webbing why do you need it? I’ve been looking for an easy coaster project, and this certainly is a keeper! Thanks for such a great tutorial! These are so cute! I’m definitely going to try them! By fleece do you mean batting? Can fleece be substituted with felt? 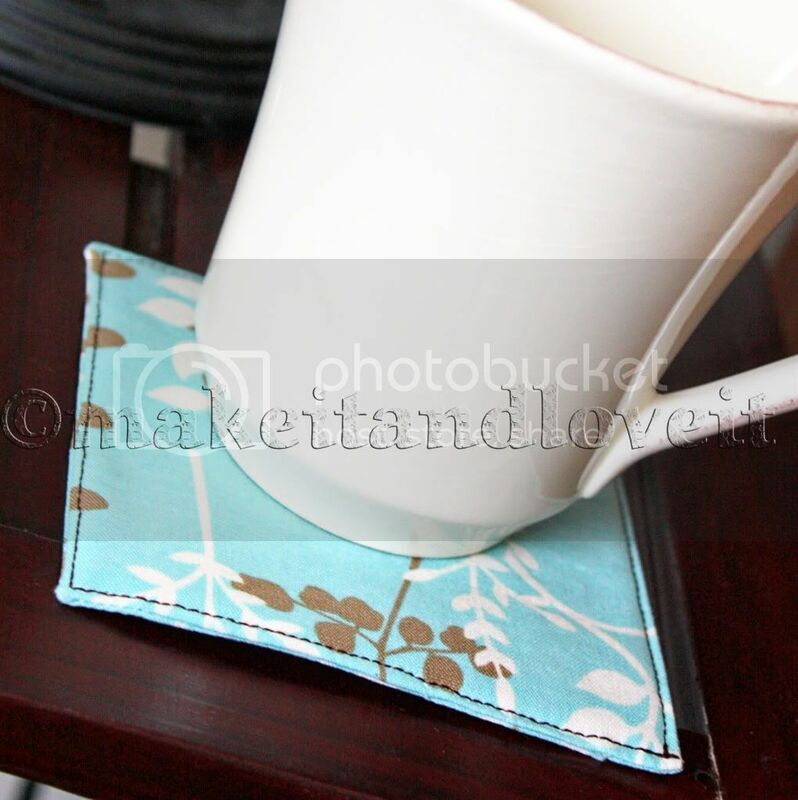 I just made one coaster using Fusi-Boo (it’s a bamboo and cotton blend batting which is fusible). It turned out great! :) Thank you very much for the tutorial. authored inside “Fabric Coasters | Make It and Love It”. I love these coasters!!!! Going to try them next!!! Thanks for the tutorial!!! I made a couple for myself- Now I’m thinking Christmas gifts! Thanks for such a nice tutorial!